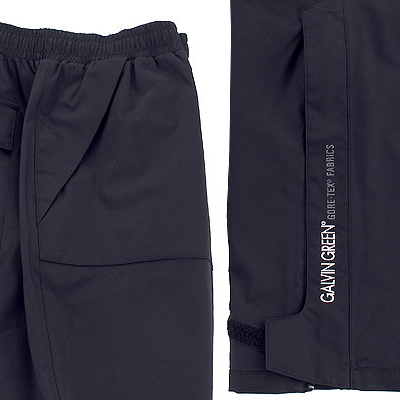 These ultimate waterproof trousers from Galvin Green are guaranteed to keep you dry no matter how how hard it rains. 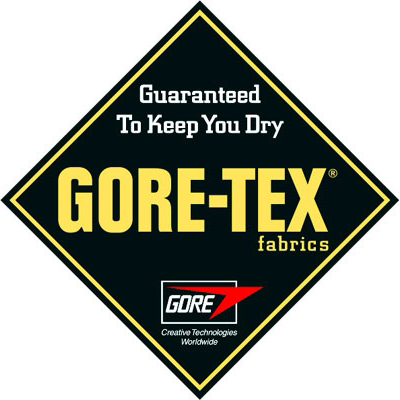 These incredible Alf GORE-TEX waterproof trousers are constructed with Gore Tex fabric that keeps out the rain, but remains breathable to allow excess heat and moisture to escape for superior comfort. 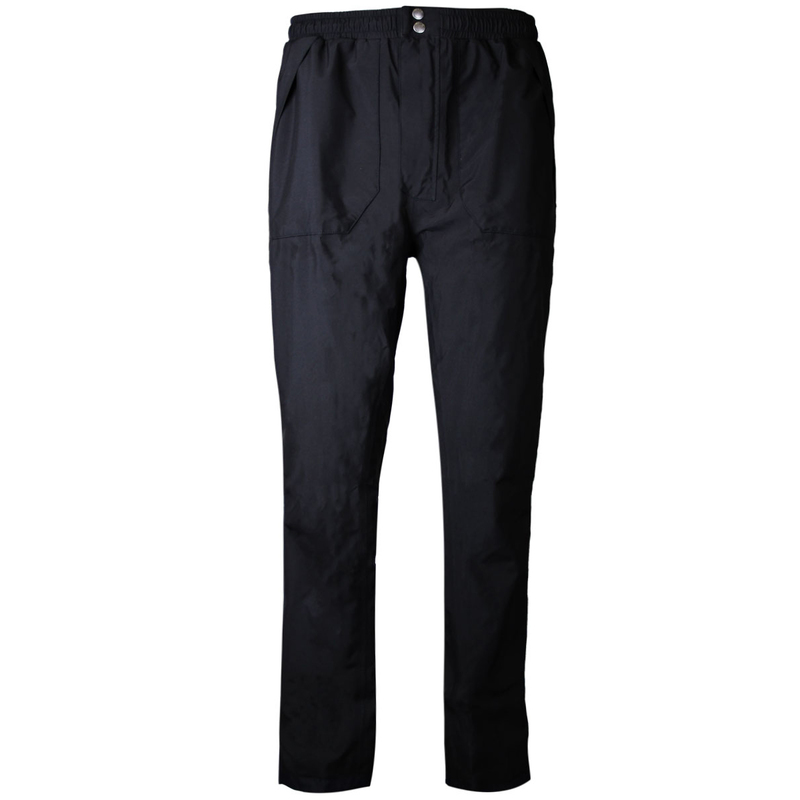 These excellent trousers benefit from an adjustable elasticated waist, fly openening and large adjustable leg-end openings for easy and quick on and off. 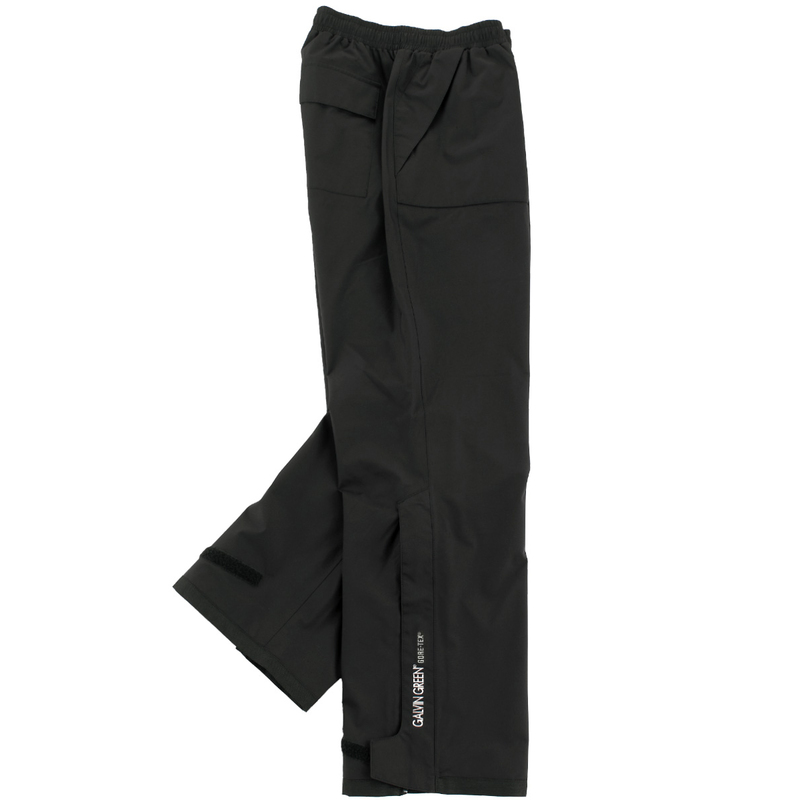 The bottom of the legs are equipped with CORDURA® fabric for extra abrasion resistance for enhanced durability. There are two front pockets with fleece lining for extra warmth and a back pocket with touch and close fasteners to keep your scorecard dry and legible. 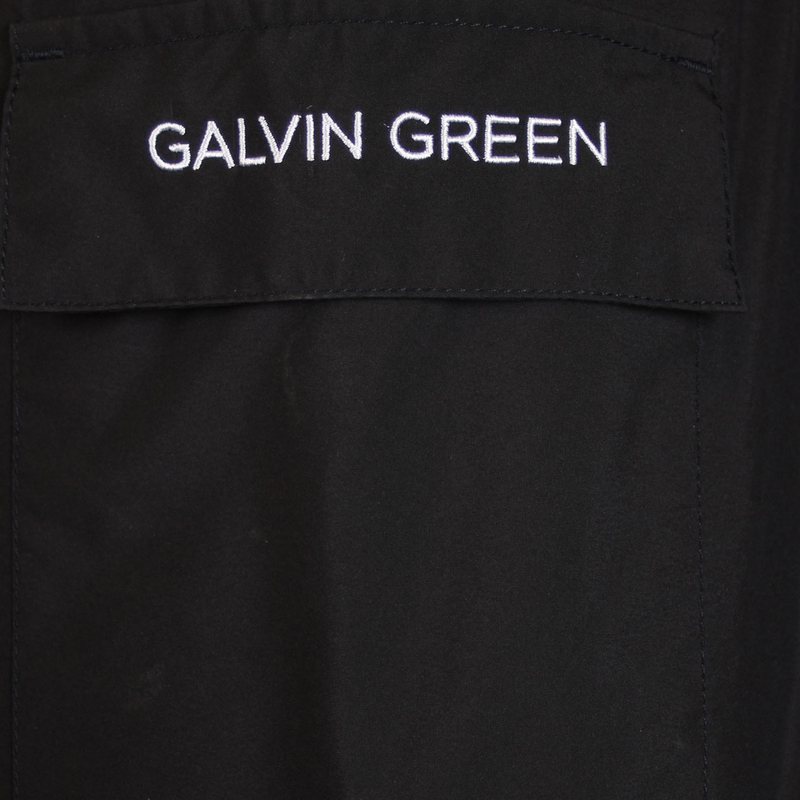 The Galvin Green Alf GORE-TEX Waterproof Trousers feature advanced GORE-TEX fabric technology that is guaranteed to keep you dry. The breathable fabric allows excess heat and moisture to be released to keep you comfortable. 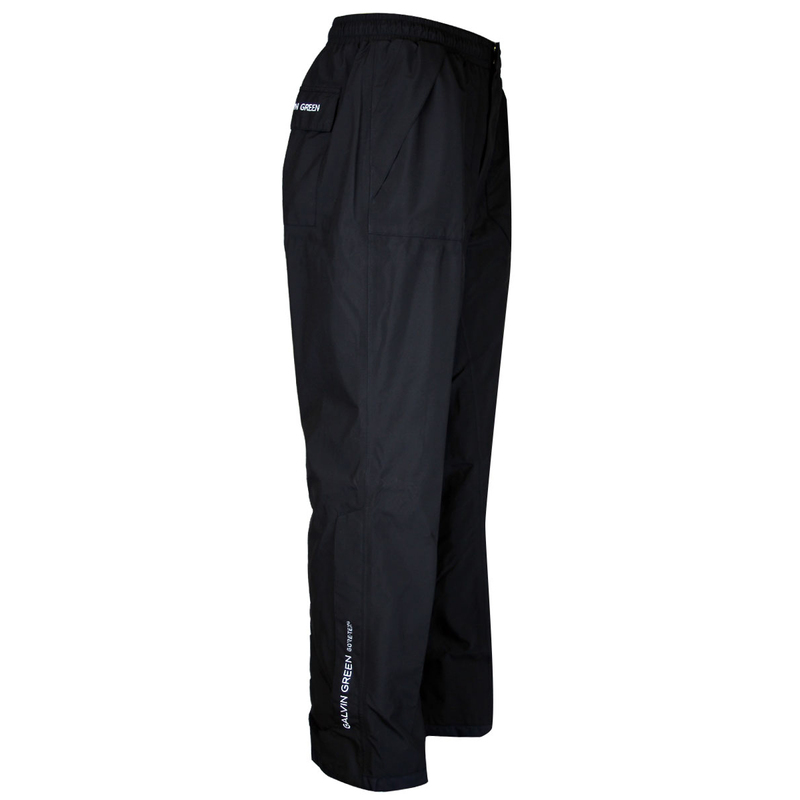 Extremely hard wearing and long lasting, these stylish trousers have been specially developed for golfers to offer a perfect fit and maximum freedom of movement. The soft and smooth outer materials provide excellent drape characteristics for a superior fit and enhanced comfort.